In John Ploughman's Talk, I have written for plowmen and common people. Hence refined taste and dainty words have been discarded for strong proverbial expressions and homely phrases. I have aimed my blows at the vices of the many, and tried to inculcate those moral virtues without which men are degraded. Much that needs to be said to the toiling masses would not well suit the pulpit and the Sabbath; these lowly pages may teach thrift and industry all the days of the week in the cottage and the workshop; and if some learn these lessons I shall not repent the adoption of a rustic style. Charles Haddon (C.H.) Spurgeon (June 19, 1834 – January 31, 1892) was a British Particular Baptist preacher who remains highly influential among Christians of different denominations, among whom he is still known as the "Prince of Preachers." This despite the fact that he was a strong figure in the Reformed Baptist tradition, defending the Church in agreement with the 1689 London Baptist Confession of Faith understanding, against liberalism and pragmatic theological tendencies even in his day. In his lifetime, Spurgeon preached to around 10,000,000 people, often up to 10 times each week at different places. His sermons have been translated into many languages. Spurgeon was the pastor of the congregation of the New Park Street Chapel (later the Metropolitan Tabernacle) in London for 38 years. He was part of several controversies with the Baptist Union of Great Britain and later had to leave that denomination. 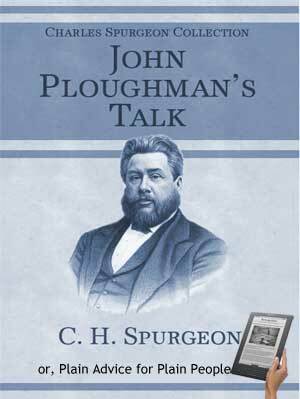 In 1857, he started a charity organization called Spurgeon's which now works globally. He also founded Spurgeon's College, which was named after him posthumously.